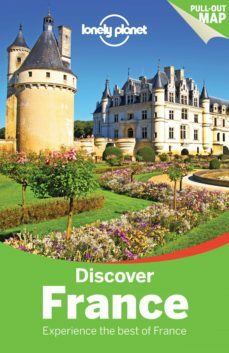 Discover the best of France and begin your journey now!Lonely Planet’s Discover France is your passport to the most relevant, up-to-date advice on what to see and skip, and what hidden discoveries await you. See the lights of Paris from the Eiffel Tower, go on a Champagne-tasting tour of Reims and explore captivating chateaux; all with your trusted travel companion.Full-colour maps and images throughout.Highlights and itineraries help you tailor your trip to your personal needs and interests.Insider tips to save time and money and get around like a local, avoiding crowds and trouble spots.Essential info at your fingertips - hours of operation, phone numbers, websites, transit tips, prices.Honest reviews for all budgets - eating, sleeping, sight-seeing, going out, shopping, hidden gems that most guidebooks miss.Cultural insights give you a richer, more rewarding travel experience - history, art, literature, cinema, architecture, politics, cuisine, wine, customs.Free, convenient pull-out Paris map (included in print version), plus over 38 colour maps. Coverage includes: Paris, Normandy, Brittany, Reims, Loire Valley, Burgundy, Lyon, Bordeaux, Provence, French Alps, Nice, Cannes, St Tropez, Monaco, Chamonix, Marseille, Versailles, Chartres, Disneyland Resort Paris.